Porcelain crowns are very small dental restorations offering large benefits. Crowns provide relief from discomfort, renew strength and function, re-inforce molars, restore cracked or broken teeth and replace old, decayed fillings. 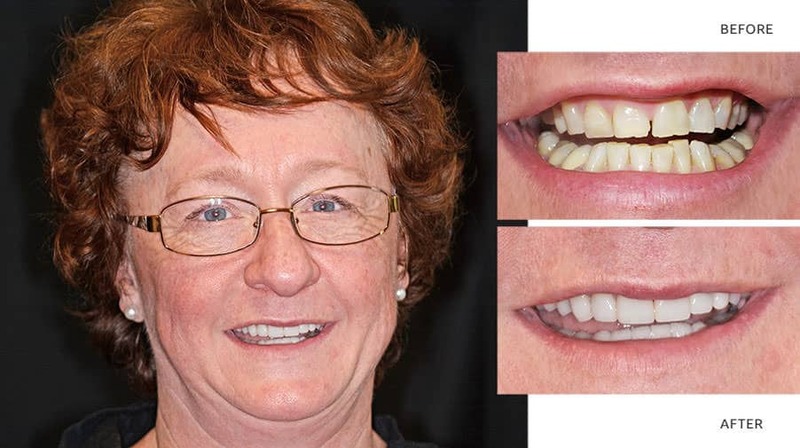 If you are in need of durable, long-lasting crown restorations, Dr. Fisher provides dentistry to Issaquah and other Eastside patients that will have you smiling with confidence again. A crown is a solid-porcelain, cap-like covering that encases your tooth and restores its former strength, shape, and beauty. Crowns are favored because of the versatility, strength, and stability they provide when expertly placed by our dentist, Dr. Kelley Fisher. A bridge is a solution that replaces one or more missing, extracted, or knocked-out teeth by anchoring itself to neighboring teeth. Bridges can also restore proper occlusal pressure, re-establish a solid chewing surface, guard your bite, and prevent bone loss. Since it involves more than one tooth, a bridge may require one to two visits. Dr. Fisher uses crowns and bridges when patients have broken cusps, fractured teeth, large existing silver fillings, food impaction, periodontal disease, or severe cavities on single or multiple teeth. Decay typically develops underneath and around an old filling, so our first step involves the discovery and removal of any harmful material. Once the decay has been eradicated, we build the tooth back up and your crown or bridge will be sculpted to create an ideal fit. Impressions will be taken and sent to our lab for fabrication. Dr. Fisher will provide you with a temporary crown or bridge made of acrylic resin during the short time period that occurs while waiting for your permanent crown or bridge to arrive. At your final visit, Dr. Fisher will remove your temporaries and bond your permanent, color-matched crown or bridge into your smile. If cared for properly, bridges can last at least a decade and our crowns offer even greater longevity. In addition, all of our work is done in US labs only-ensuring you both excellent and lifelike quality and a precise fit. Our exclusive use of metal-free materials also means you’ll never see a thin, dark line where your bridge or crown meets your gums. The look is so seamless and natural, no one will be able to tell you’ve had dental work done. If you need bridges or dental crowns near Issaquah and want to restore the healthy function of your smile, we encourage you to call Eastside Comprehensive Dentistry. Rejuvenate your smile with our wonderful and gentle Sammamish Dentistry Solutions today!